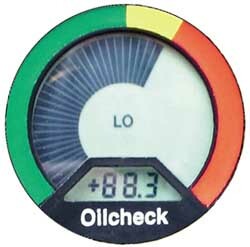 The oil tester oilcheck OLK605 combines a technology for recognition and analysis of the oil quality. 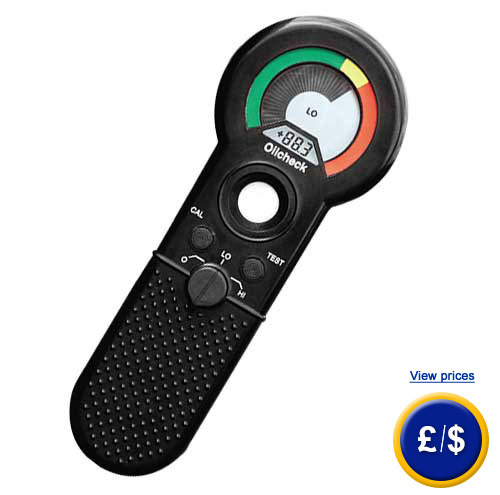 Through regular application, the oil tester Oilcheck OLK605 will provide the engineer or technician a disclosure of impending engine damages and allow a better overview about the life time of the engine. In order to minimize the maintenance costs, the oil change intervals should be always extended a little more, but by that the risk of damages as a consequence of the oil increases. That risk can be reduced to a minimum by the oil tester Oilcheck OLK605 by regularly checking the state of the oil and of the machine. Due to its reliable and repeatable measurement of the oil tester Oilcheck OLK605 the oil pollution can be detected and an optimized cycle of changing the machine oil can be adjusted. 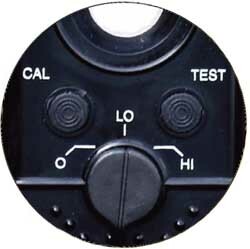 If there are any questions about this Oil Tester Oilcheck OLK605, please have a look at the technical specification below or call: UK customers +44(0) 23 809 870 30 / US customers +1-410-387-7703. Our technicians and engineers will gladly advise you in all automotive meters and all products in the field of measuring instruments, regulation and control and scales.